ARLINGTON, Texas (AP) — The loaded Los Angeles Dodgers made a late trade for Texas ace Yu Darvish on Monday, their boldest move in pursuit of a World Series crown that’s eluded them for nearly 30 years. The runaway NL West leaders, already with the best record in the majors and the highest payroll, acquired Darvish for three minor league players: second baseman/outfielder Willie Calhoun, right-hander A.J. Alexy and infielder Brendon Davis. 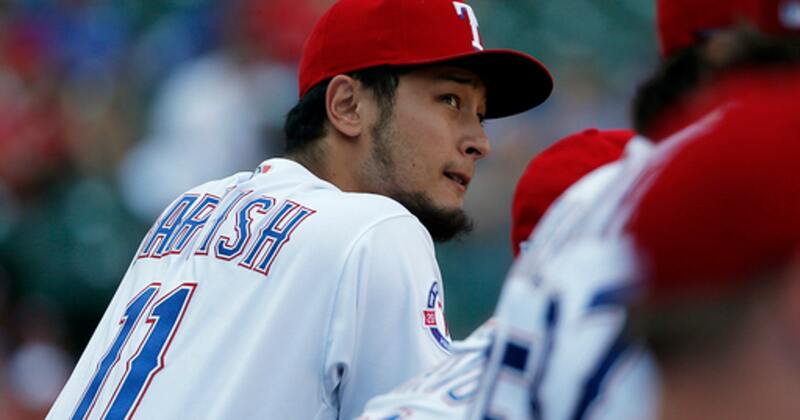 “It’s an honor to be wanted by the team,” Darvish said through a translator. The 30-year-old Darvish is a four-time All-Star. The right-hander is 6-9 with a 4.01 ERA in 22 starts this season as he comes back from Tommy John surgery. The Japanese star said he got a call from his agent right before Monday’s 4 p.m. EDT deadline for making trades without waivers. “I was mentally prepared for the announcement,” Darvish said. At Globe Life Park, where the struggling Rangers were set to host Seattle, Darvish said he had “nothing but appreciation” for his time in Texas. Darvish can become a free agent after this season. Asked whether he would consider a return to the Rangers, he said he would have to wait and see. Darvish made his major league debut with Texas in 2012. He missed the entire 2015 season while recovering from elbow surgery. The Dodgers haven’t won the World Series since 1988, when Orel Hershiser was their ace. They’ve reached the playoffs 10 times since, including the last four years with star Clayton Kershaw. Earlier Monday, Los Angeles acquired lefty reliever Tony Watson from Pittsburgh. Calhoun, 22, hit .298 with 23 home runs and 67 RBIs in 99 games at Triple-A Oklahoma City. Alexy, 19, was 2-6 with a 3.67 ERA in 19 starts at Low-A Great Lakes. Davis, 20, hit a combined .241 with nine home runs and 43 RBIs at Great Lakes and High-A Rancho Cucamonga.